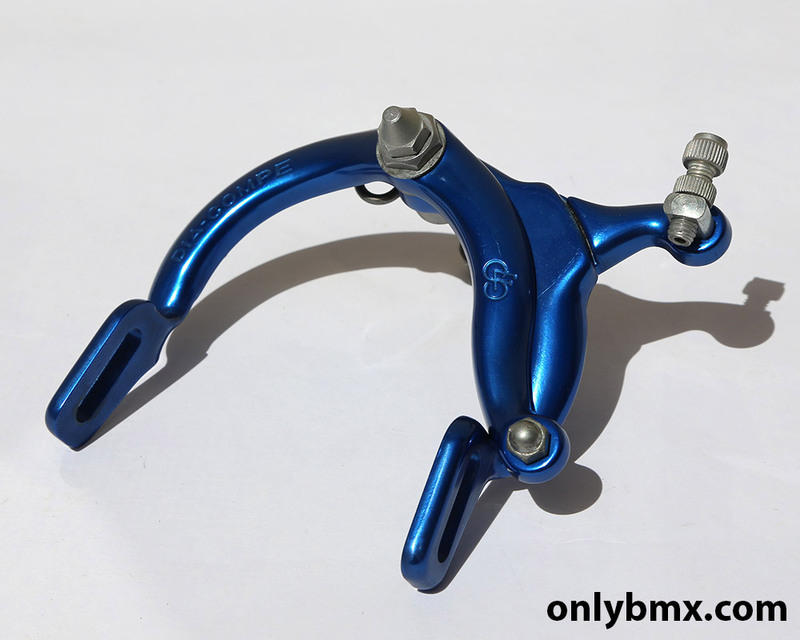 Dia Compe FS880 BMX brake calipers and matching Dia Compe 128 Locking Levers for sale. 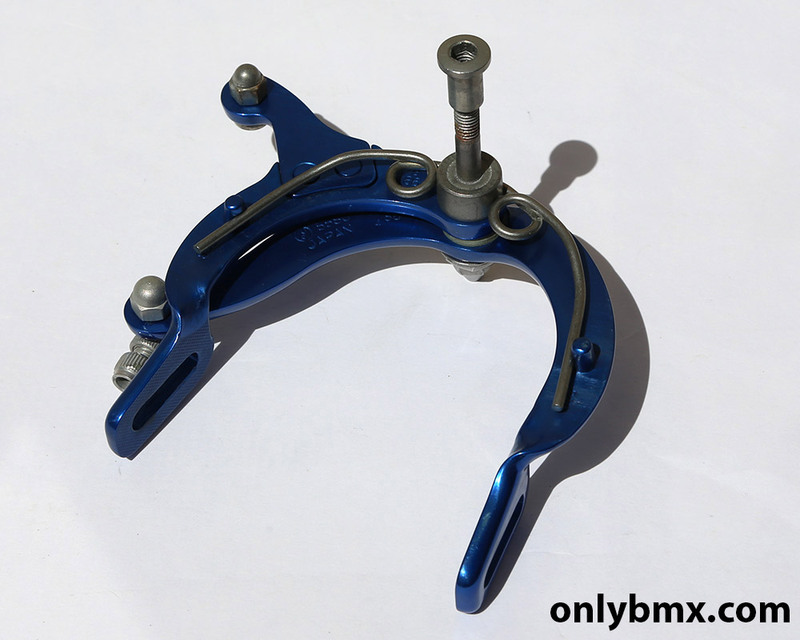 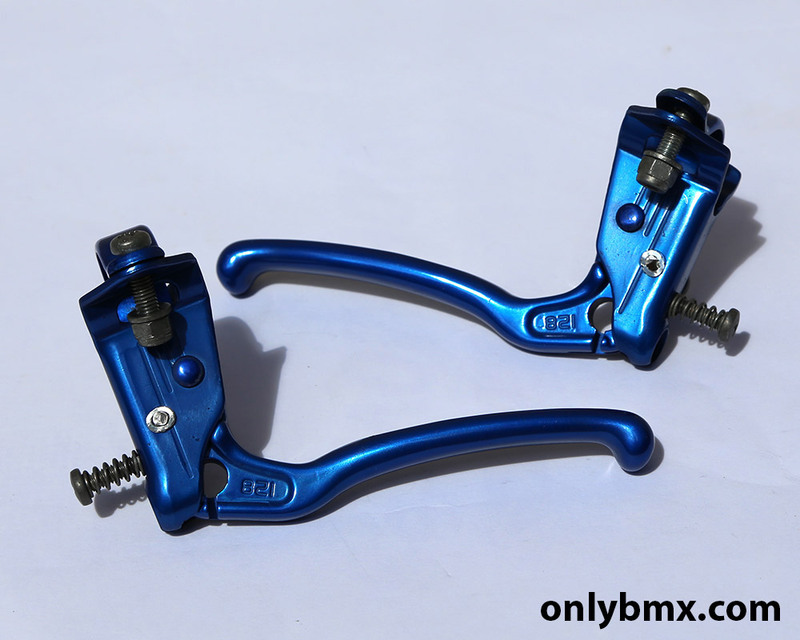 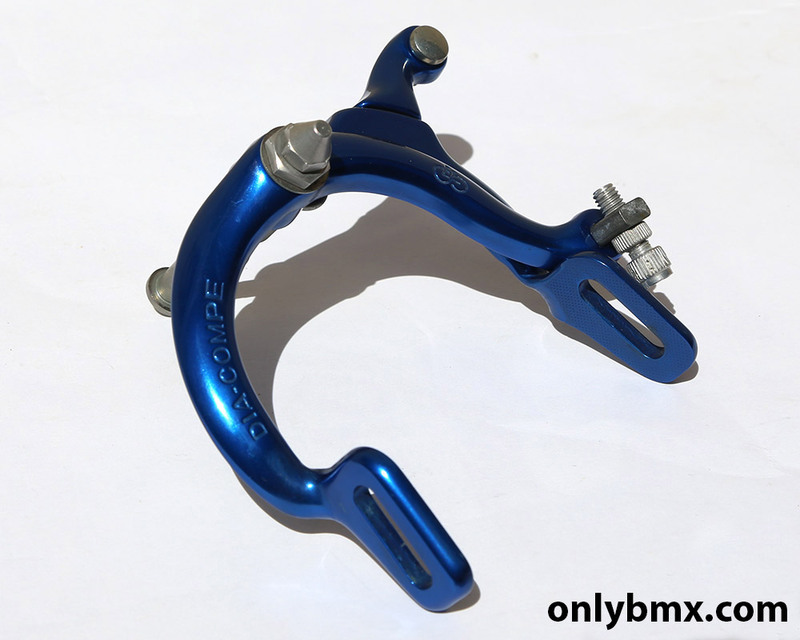 These old school freestyle BMX calipers and levers have been reanodised in blue and the match is pretty much perfect. 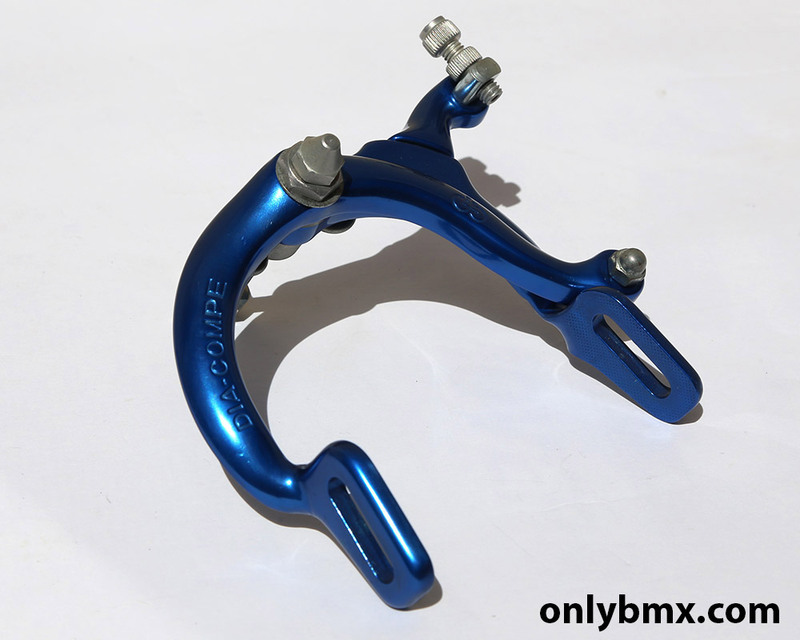 So often anodised parts can end up completely different colours because of the different metal compositions. 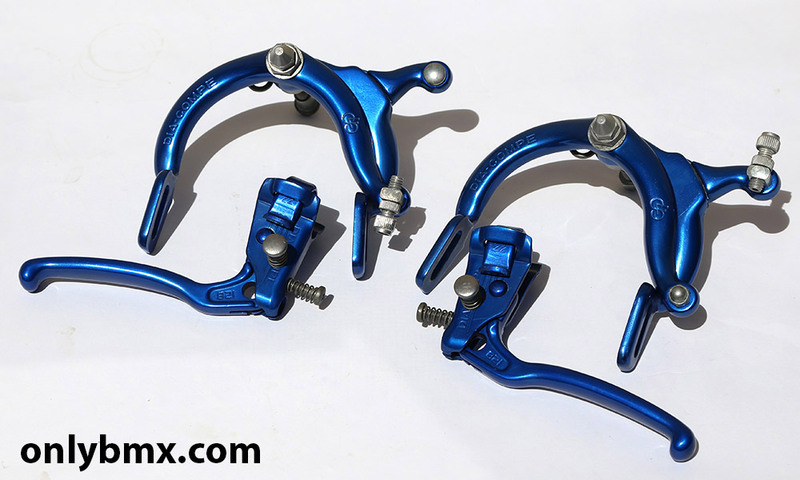 Includes front and rear calipers. 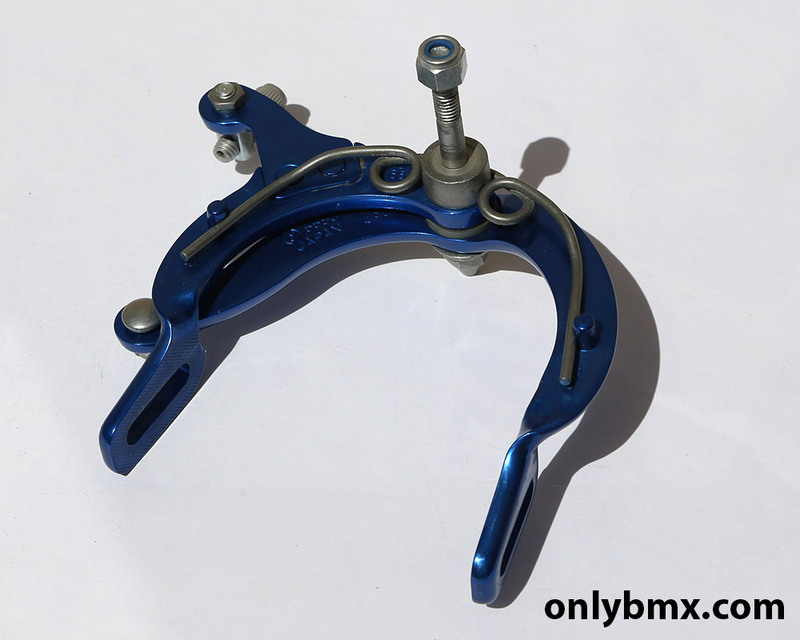 The front is set up for a Potts Mod cable routing and also includes the correct flush mount nut at the back. 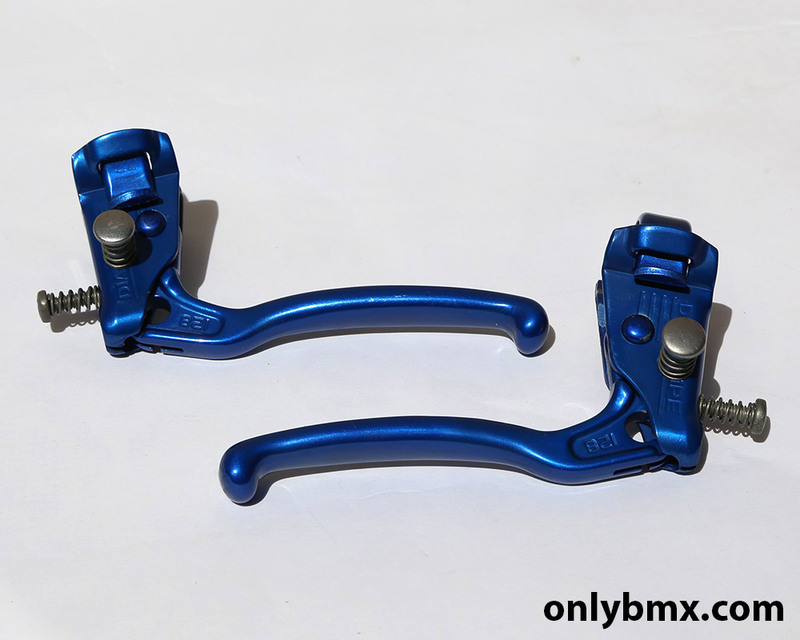 All the other hardware parts have been lightly media blasted to clean them up and give them a uniform finish. 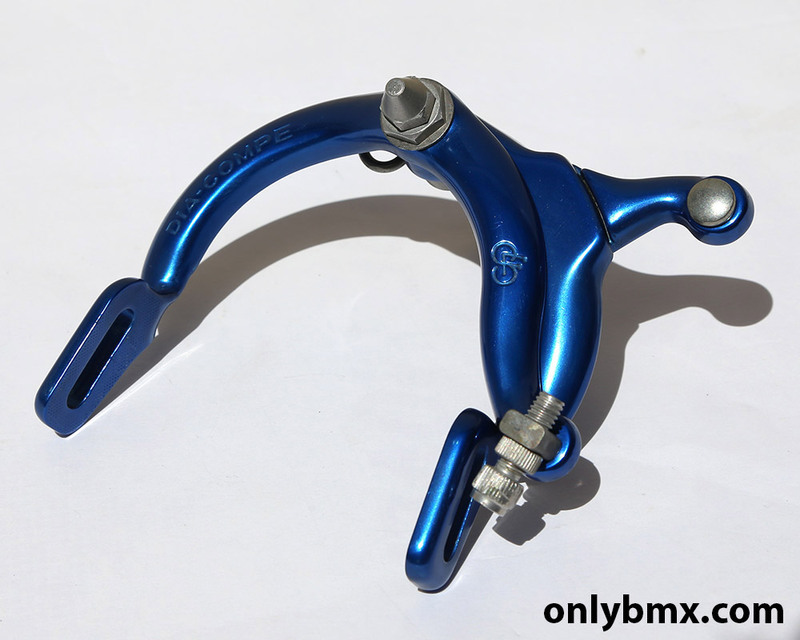 Calipers and levers are dated 1986. 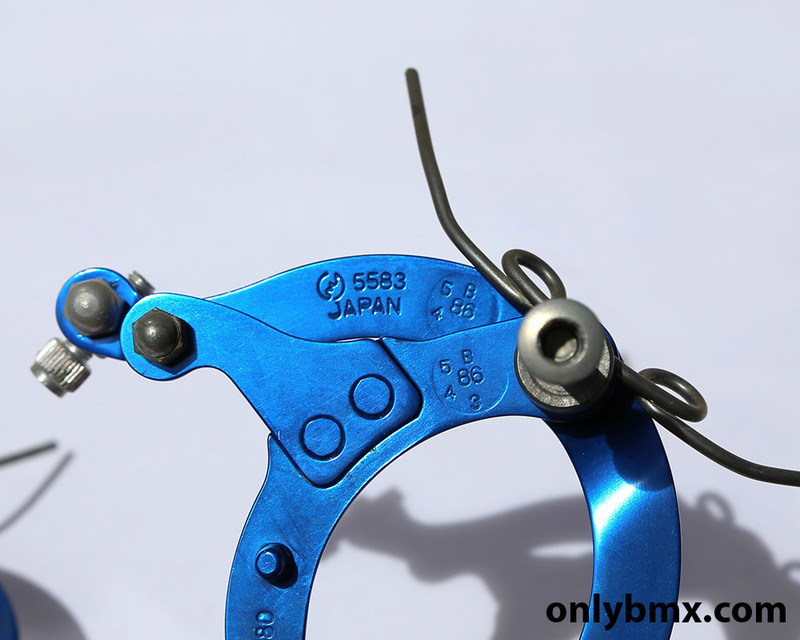 Slight blemish on both calipers on the under side which can been seen in the last couple of photos. 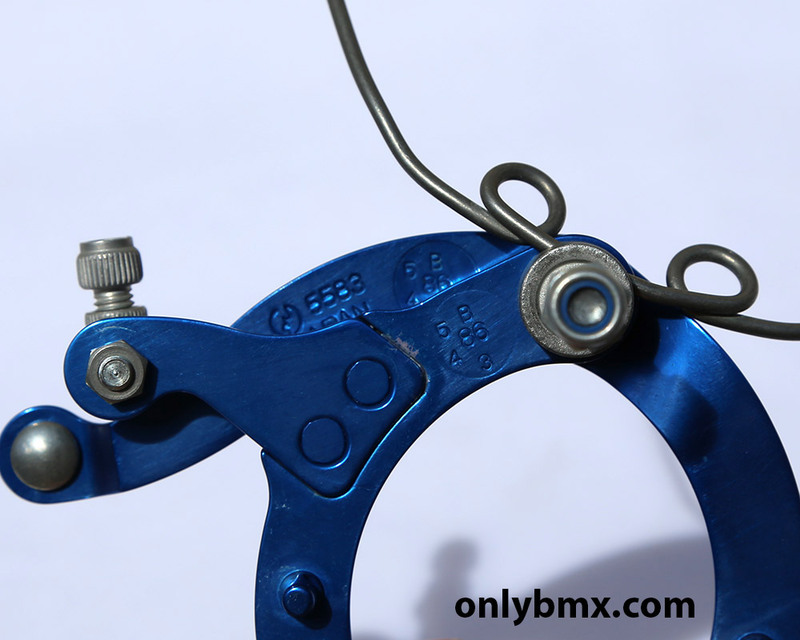 Will not be noticeable once mounted.